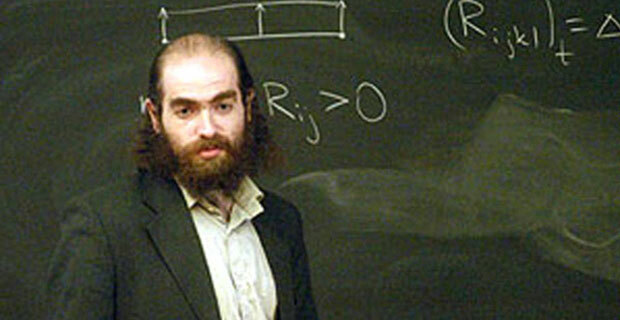 Grigori Perelman is a Russian mathematician who was born on 13th June 1966 who made his mark through Riemannian geometry and geometric topology. His birth location was known as Leningrad, Soviet Union at that time but is now called Saint Petersburg, Russia. Perelman’s parents were Jewish, as he was growing up his mathematical leanings became apparent so his mother decided to enroll him in an after-school math training program at Sergei Rukshin’s. He studied at a specialized school at Leningrad Secondary School #239, where he focused on advanced mathematics and physics. He was a member (1982) of the Soviet Union team that was participating in the International Mathematical Olympiad and he won a gold medal. Perelman earned a PhD (Candidate of Sciences degree) from the School of Mathematics and Mechanics of the Leningrad State University. He worked at the reputable Leningrad Department of Steklov Institute of Mathematics. Due to his contribution of “Aleksandrov’s spaces of curvature bounded from below” he won the Young Mathematician Prize of the St. Petersburg Mathematical Society in 1991. In 1993 he was offered a Miller Research Fellowship at the University of California, Berkeley which lasted two years. Perelman proved the ‘soul conjecture’ in 1994 which led to job offers from many top universities in the United States of America which also included Princeton and Stanford. However, he turned down all the tempting offers and went to Steklov Institute in Saint Petersburg for a research position in 1995. He is also known for proving Thurston’s geometrization conjecture in 2002. He was awarded the Fields Medal in 2006, but he rejected it saying “I’m not interested in money or fame, I don’t want to be on display like an animal in a zoo”. Perelman also declined the Millennium Prize in 2006. With his mathematical contributions, he was invited to different institutes to speak and his work has been explained by various authors in Journals. The Journal ‘Science’ acknowledged Perelman’s proof of the Poincaré conjecture as a “Breakthrough of the Year”, which was one of its kind at that time. This suggests that Perelman had unfolded a significant turning in the world of Mathematics. Perelman has a sibling, Elena who is his younger sister. She is a scientist with a Ph.D. from Weizmann Institute of Science (Israel). It is now said that Perelman has retired from the field of mathematics, as of 2003 he stopped working at Steklov Institute. Many people believe that it is due to the superficial leanings in the Mathematical world, and have labelled his isolation on that particular reason. Additionally Perelman has tried to avoid journalists and has also expressed his dislike for awards and prizes which carry financial value. In conclusion, Perelman is still regarded as one of the best mathematicians who helped resolve a mathematical dilemma with the ‘soul conjecture’, despite the efforts of trying to accredit him for his work and his continuous rejection, he still remains a man who invested his time and effort which several mathematicians appreciate in the world Today.